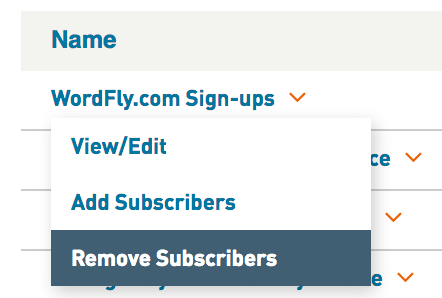 WordFly allows you to quickly remove email addresses from an existing list. Quickly remove subscribers from any list in a few steps. Remove up to 5,000 addresses (this is the max that can be removed at any time). Separate addresses with carriage returns, commas, or semicolons. The removal process may take a few minutes to complete. Removed subscribers will display in the List Import History section of the List Summary page. In the List Import History the removals will be taken from the import they were added to. Subscribers can be removed from a list even when it is assigned to an email campaign. 2. Click the name of list you would like to remove subscribers from, select the option Remove Subscribers. 3. Type or paste the email addresses into the input box. Click Remove. Note: For large subscriber list removals it is best to remove subscribers in amounts up to 5,000 at a time. 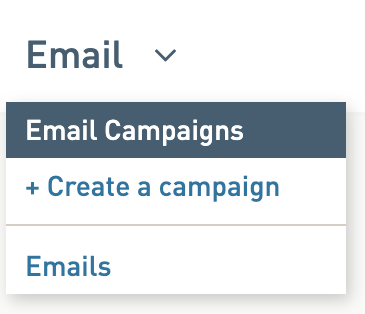 If you need to remove email addresses from a list that is already created and assigned to a campaign that hasn't been sent, follow these same steps. 2. Select the name of the email campaign you are working in. 3. 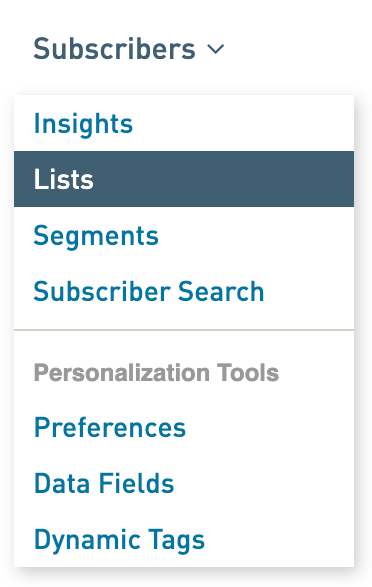 Select the Subscriber List tab. 4. 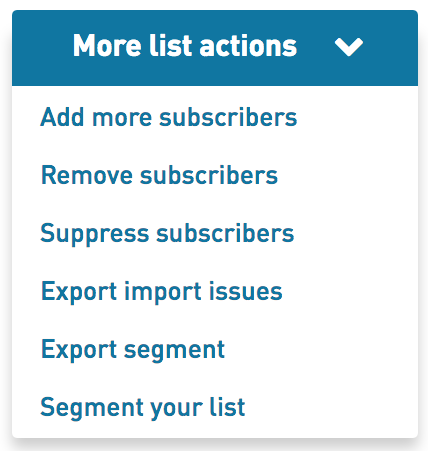 Click the More List Actions menu, select Remove Subscribers. 5. Type or paste the email addresses into the input box. Click Remove.